Last Year: 14th with a 8-16 (-112) record and 20 points. Coming off a terrible finish to a season, the Warriors have signed Matt Elliott to get them back on track... but they haven't added a great deal of quality - so the incumbents need to wake up and recall what it took to make the Grand Final in 2011. Dane Nielsen and Todd Lowrie won the competition last year with the Storm... but they also won it alongside Cameron Smith, Cooper Cronk and Billy Slater. They are solid footy players but the pressure is well and truly on Thomas Leuluai to replace James Maloney at five-eighth (and maybe Pita Godinet or Harry Siejka early on with Shaun Johnson hurt at halfback). Glen FISIIAHI, Pita GODINET, Sebastine IKAHIHIFO, Sam LOUSI, Sione LOUSI, Alehana MARA, John PALAVI, Dominique PEYROUX, Steve RAPIRA, Harry SIEJKA, Sio Siua TAUKEIAHO, Carlos TUIMAVAVE, Bill TUPOU. Ngatua HUKATAI, Ngani LAUMAPE, Viliami LOLOHEA, Eko MALU, Braxton STANLEY. Sounds like Johnson is out with an arm injury, so Elliott will either insert Siejka straight into the halves or move Mateo into the #6 and shift Leuluai to #7. That allows him to play an extra backrower - which is the safe option. Packer and Friend are definitely out, while Henry and Ropati are doubts. 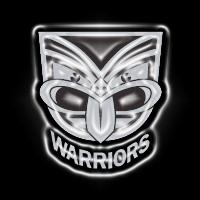 WAR: Locke, Tupou, Nielsen, Ropati, Vatuvei, Mateo, Leuluai, Rapira, Mara, Matulino, Taylor, Mannering, Lowrie. Bench: Lillyman, Godinet, Hurrell, Rapira. Watch out for John Palavi - a backrower who has dominated the NYC and just needs a chance in the top grade to show us all what he can do. Siejka might get an early crack at the big time, but Palavi is the name to write down. And the club isn't short of young outside backs either... you'll know who to take notice of soon enough if they get an opportunity. Round 2 at Eden Park is the must-see game with Sonny Bill Williams and the Roosters coming to town on the Saturday night at 7:30pm. The game has extra significance (positively) if the Warriors can beat the Eels in Round 1 in Sydney. Basically for the Warriors to fight it out in September - Johnson, Mateo, Locke and almost as importantly - Friend, need to be fit and firing for the majority of the season. The rest of the squad are good enough to follow this quartet to respectability, but it comes down to those four to make it happen. 14th | Are they good enough to be higher than this? Of course, but they'll need two or three hot streaks to make the semis and avoid the lowest third of the ladder. Can Shaun Johnson or Feleti Mateo take Ben Barba's mantle as the game's best player in the 2013 @NRLTweet Player of the Year Awards?